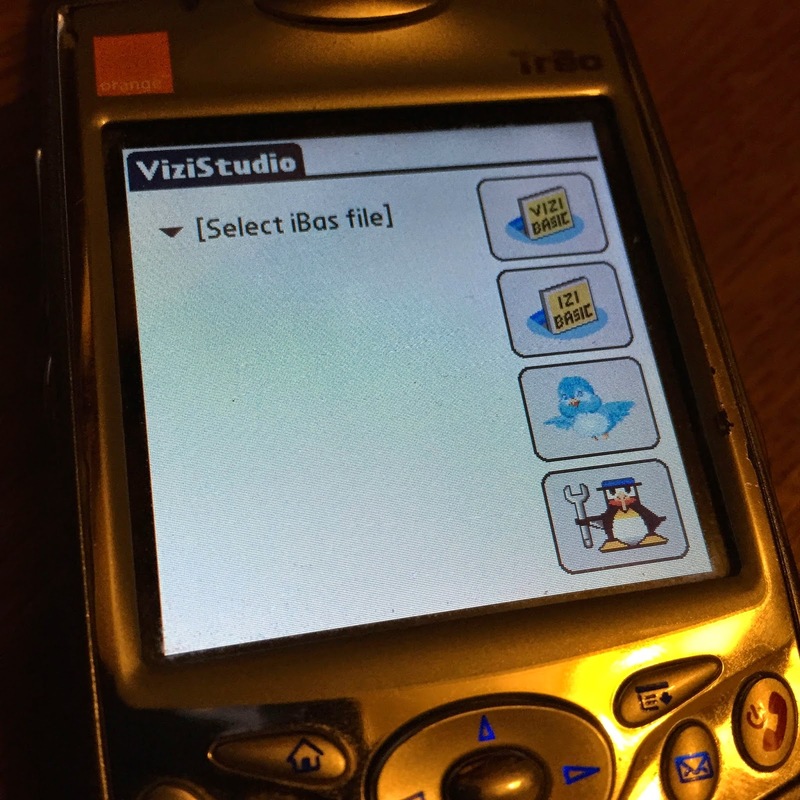 I got a bit excited when I rediscovered ViziStudio sitting on my T3, but I didn't really explain what it is that ViziStudio does, so I thought I should tell you a little more about it. Above you can see the main (and only screen) in ViziStudio. It gives you the option to select an iBas file (iBas is the file type for an iziBasic file) and then four large icons on the right. 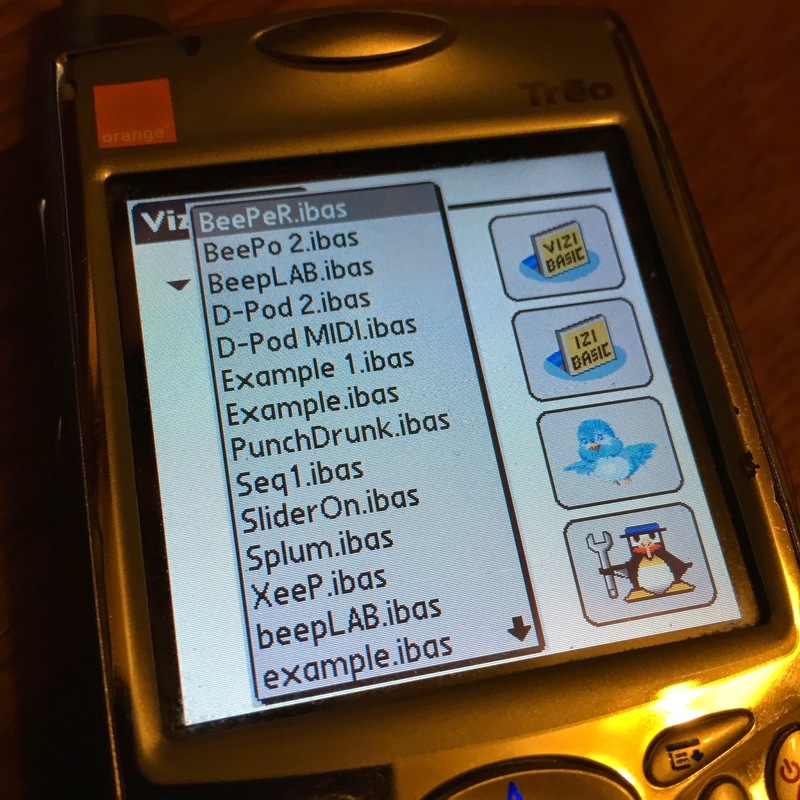 Selecting the drop down gives you a full list of all the iBas files on the device. As you can see I've got quite a few, mostly unfinished sadly. Once you have the file selected you can choose one of the four buttons on the side. 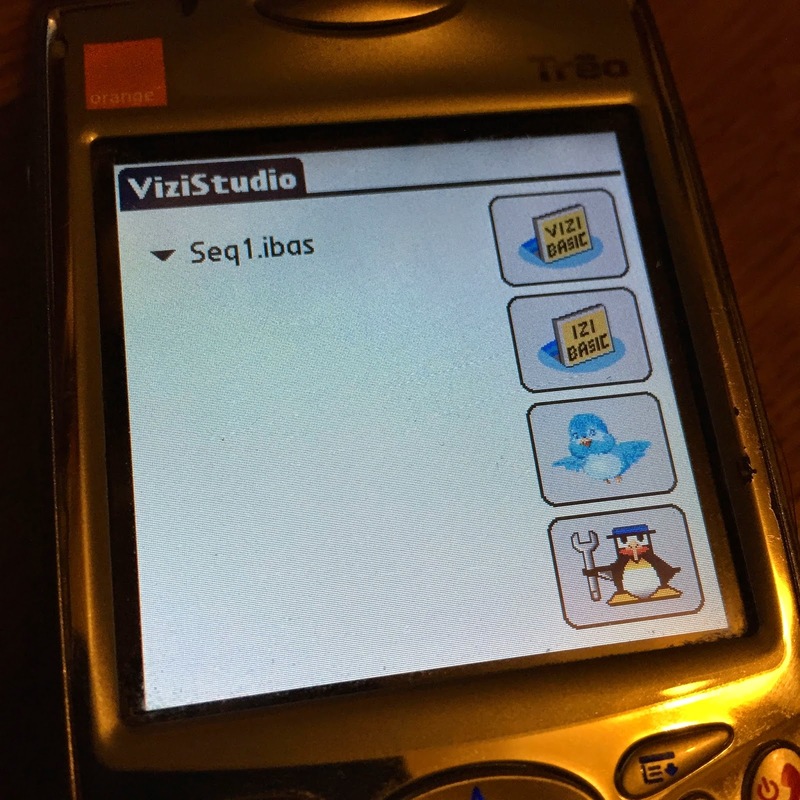 These are, ViziBasic, iziBasic, Piaf and Bird. I'll explain what those are. 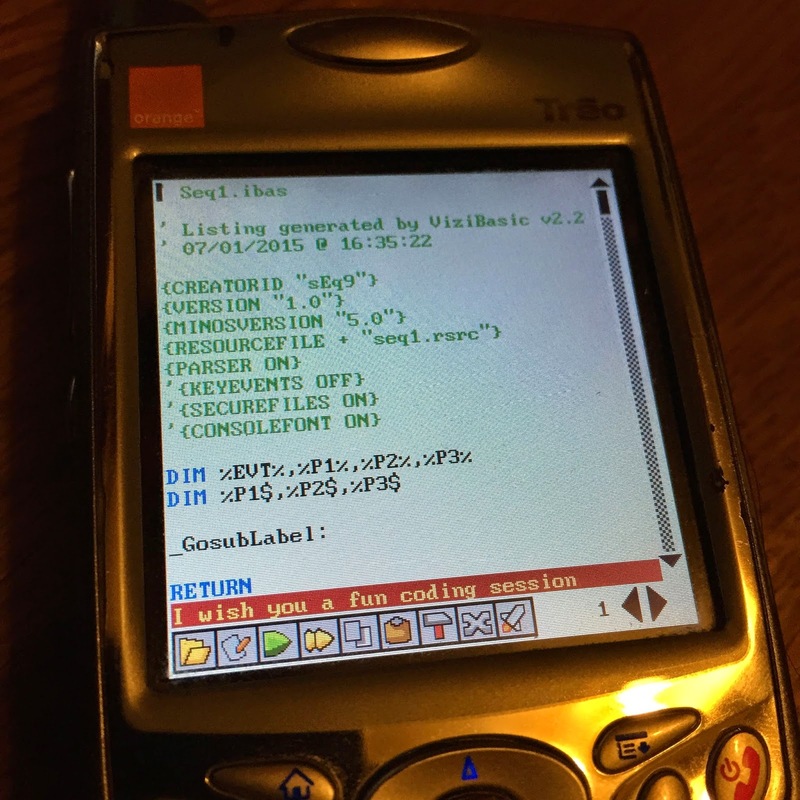 ViziBasic is the visual code editor for iziBasic, which is the compiler. Piaf is a text based code editor (see below), and Bird is a resource compiler application which lets you add resources into a .prc file when it's compiled. As you can see above I'm using Piaf to edit this code. I'm planning to add ViziStudio into the Palmorama library soon and when I do I'll let you know.